Tucked away under a HDB block at Toa Payoh, House of Durian contains so much more than just durians alone. 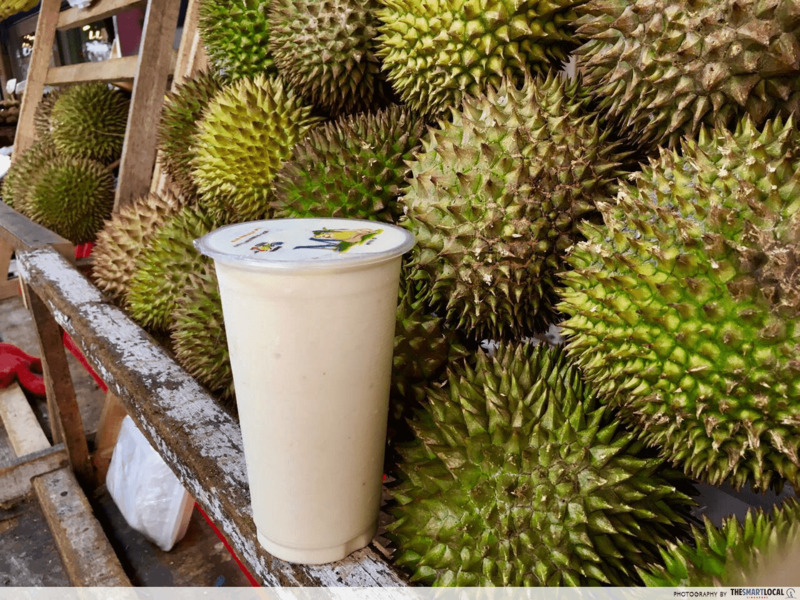 In here resides a variety of other fruits as well as durian creations – and by that I mean mao shan wang ice cream and smoothies made with actual durian in front of your eyes. 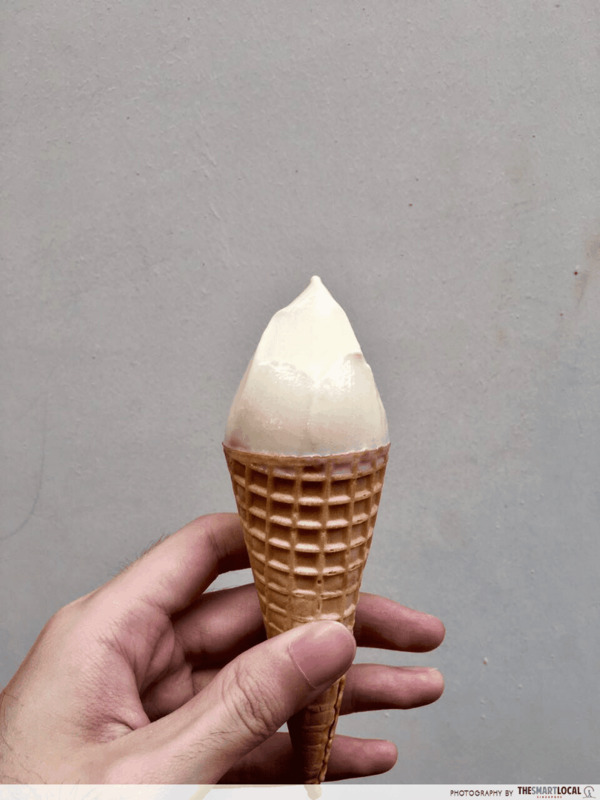 Mao shan wang ice cream in a cone ($2). You can get one in a cup for $4. Mao shan wang smoothie ($4). Rich and creamy, this literally tastes like liquified durian! 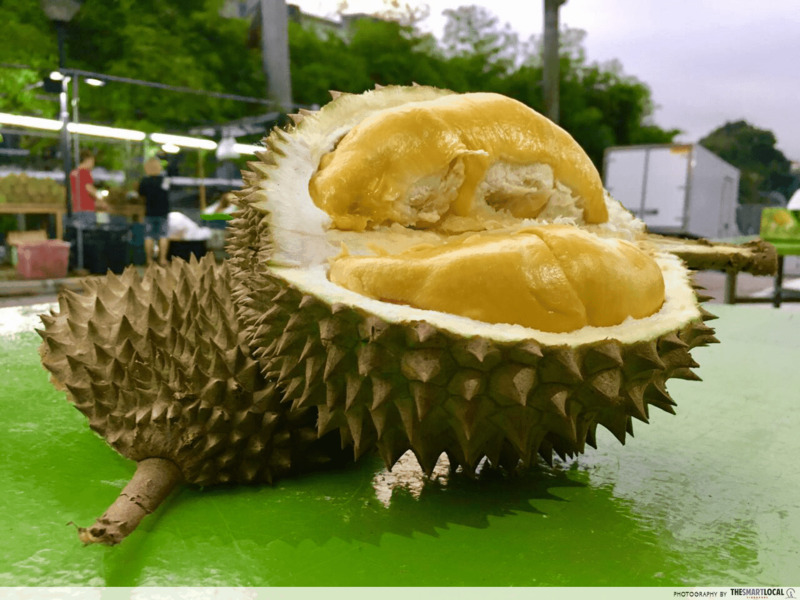 Durians are “heaty” enough, and we don’t need things to get even more heated with the weather. A great respite from Singapore’s heat and humidity, Fruit Monkeys allows you to sit down under aircon and enjoy your durian without sweating. 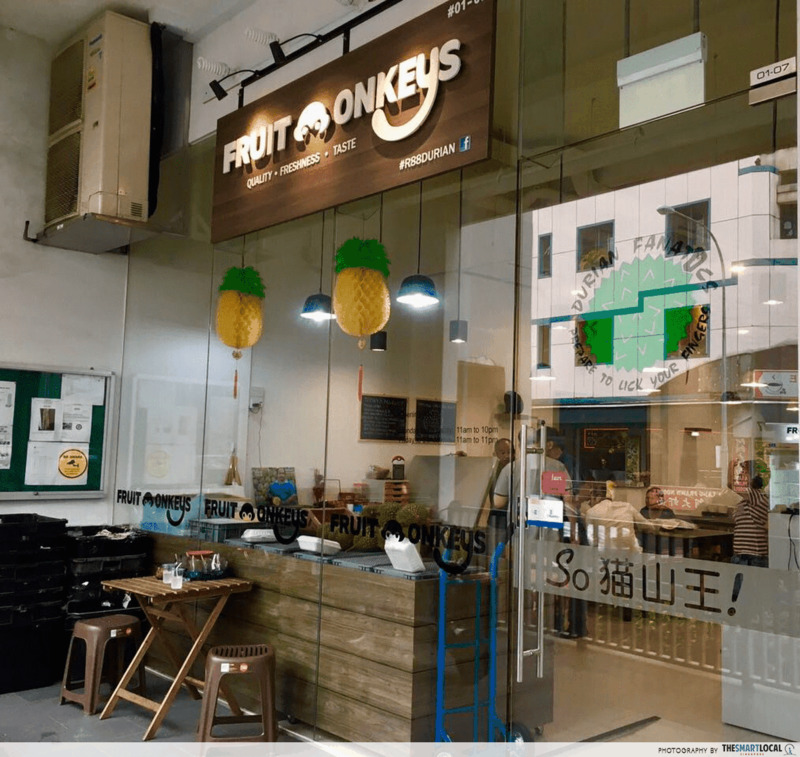 Located a stone’s throw away from Farrer Park MRT Station, this indoor durian eatery left both our tummies and hearts full with the fleshy mao shan wang and heartwarming service. Complimentary gloves, water and tissue made for an amazingly convenient experience. NETs payment is accepted too. The mao shan wang we got was on the sweeter and fleshier side, although too watery for some. 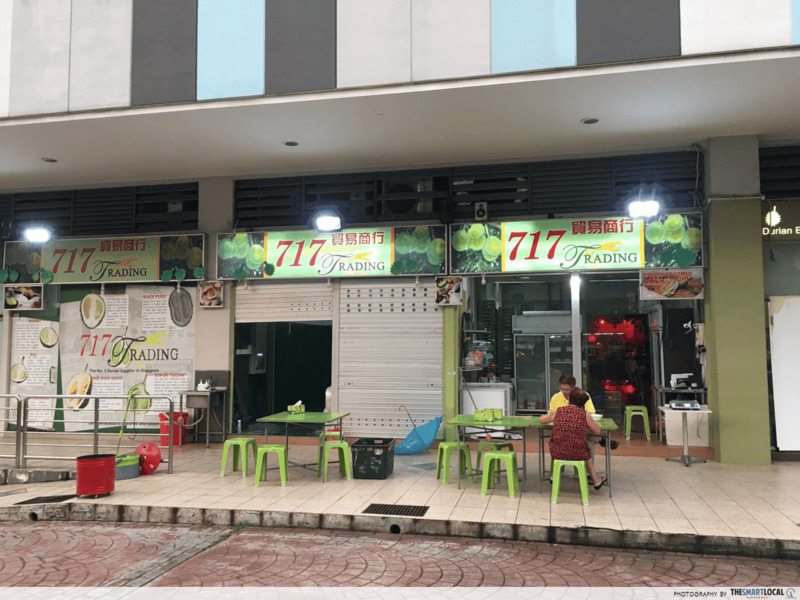 717 Trading is the kind of place you’d go to for a lepak night out with good ol’ friends and some quality durian. The whole roadside experience was very simplistic and peaceful – staff were rather friendly as well. The mao shan wang we got struck a perfect balance of bitter and sweet, and maintained it’s shape even though it was super creamy. Perfect for those who like something substantial to bite into. 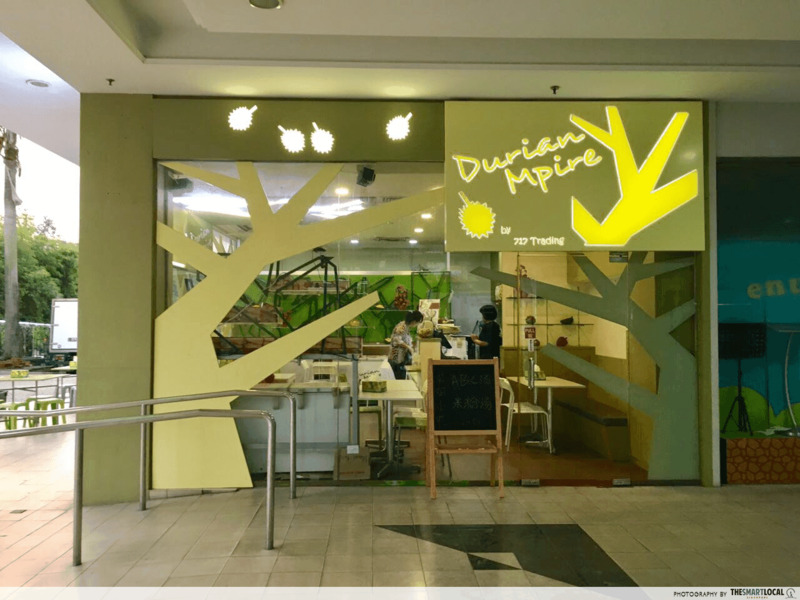 717 Trading’s extension shop, Durian Empire – right around the corner from 717 – sells a variety of durian items including puffs, crepes, cakes and tarts. We tried their signature Durian Crepe ($5.80) and the rich and creamy durian flavour was clearly not artificial. Definitely worth a visit! 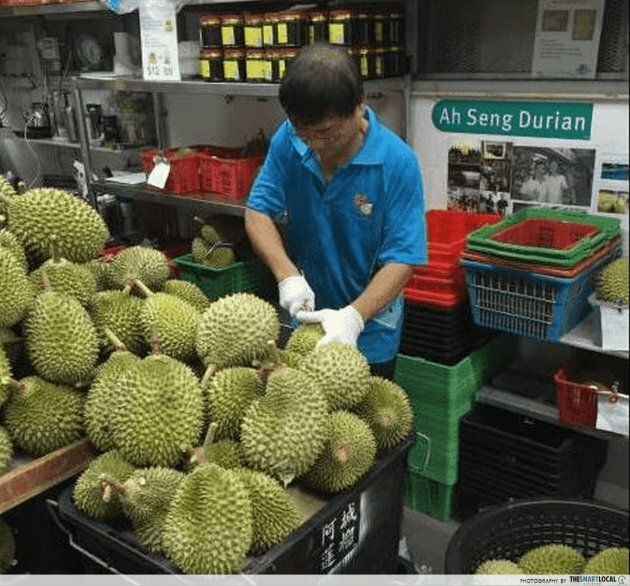 Ah Seng Durian has been around for a couple of years, never failing to win the hearts of Singaporeans in search for good quality durians, especially mao shan wang. 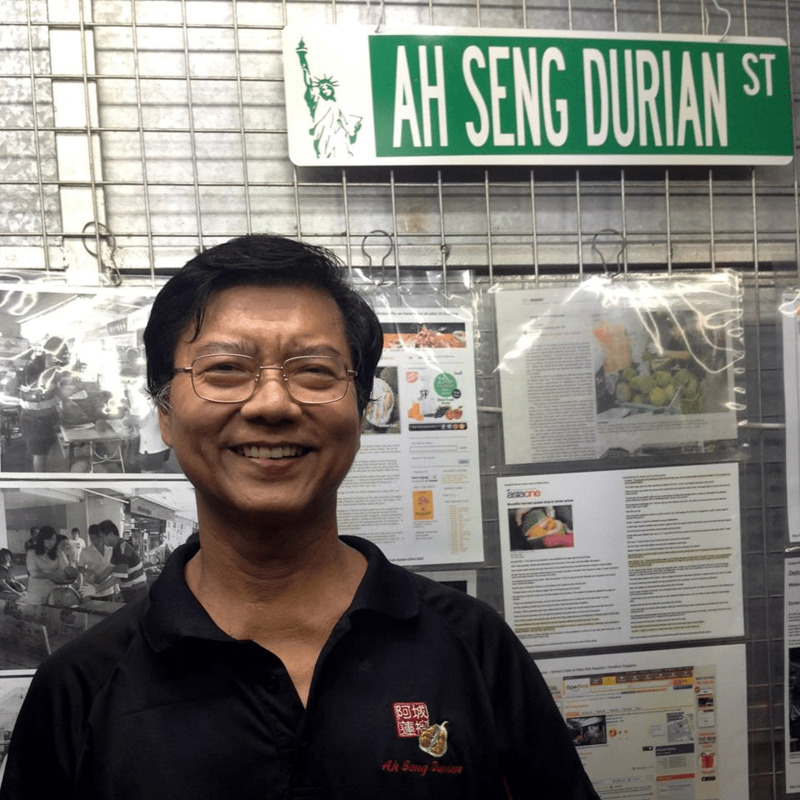 Having a reputation for his honesty, Ah Seng is a friendly and bubbly store owner who’s almost always present, providing customers personal service. Note: You should reserve your durians 1-2 days ahead because of high demand. It can also get very crowded so don’t come expecting a guaranteed seat! 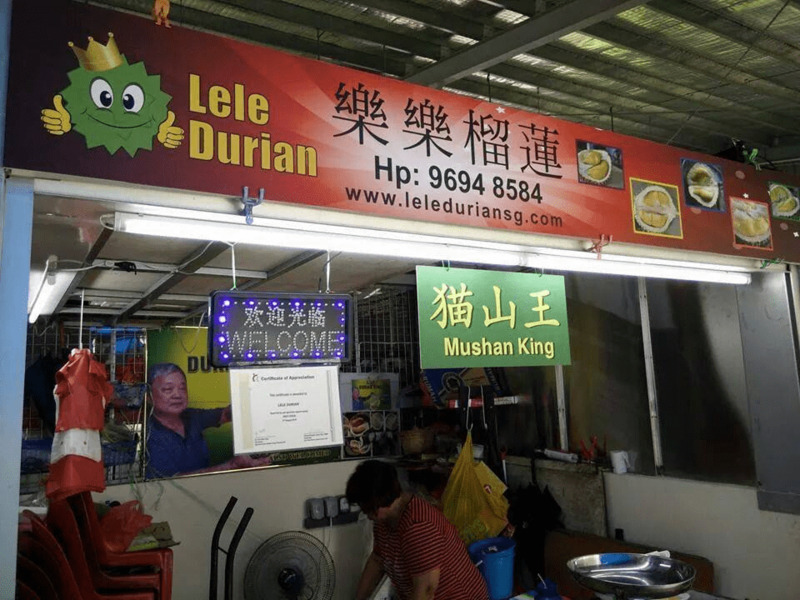 Lele Durian is known for it’s top-grade mao shan wang from Batu Pahat that rarely disappoints its customers. Their mao shan wang is known to be super bittersweet and addictively creamy in texture. 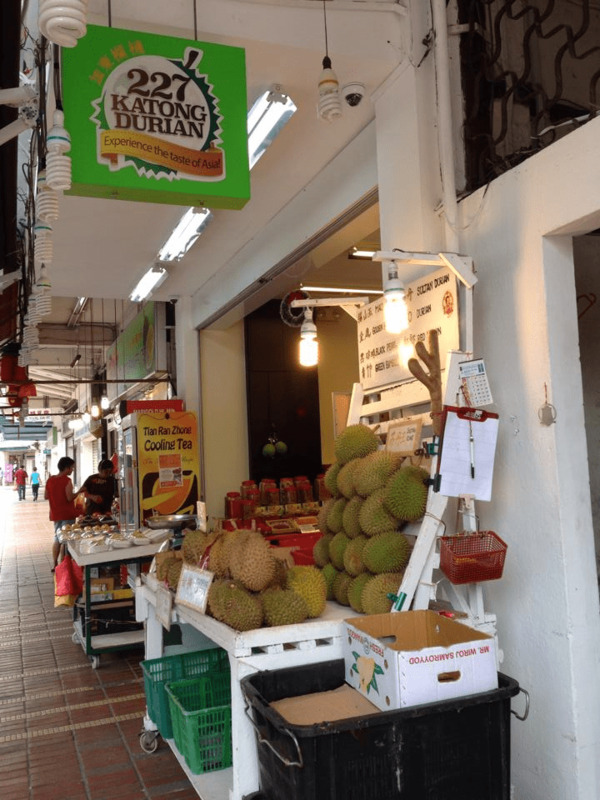 With fluctuating prices throughout the year, catch them during the durian season and dig in! There’s more to the West for durian-lovers than just Ghim Moh. 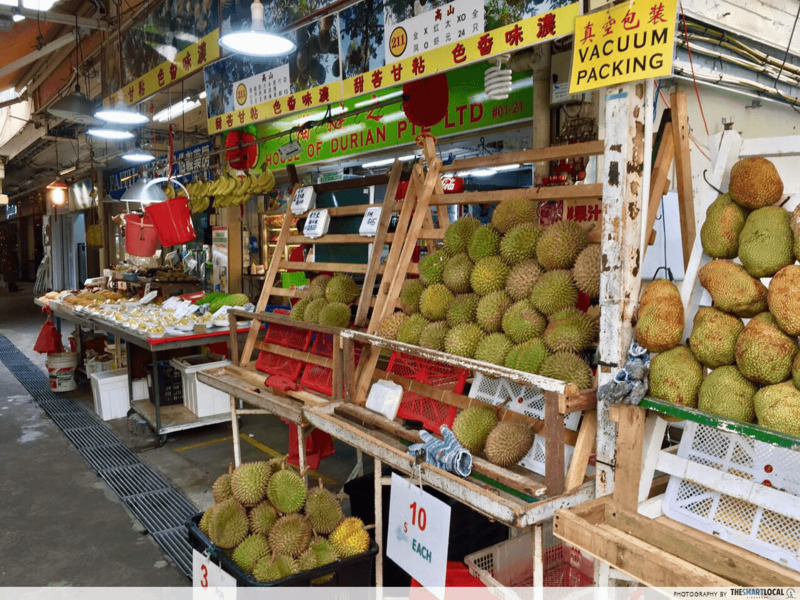 The Durian Tree is a humble durian stall at Bukit Batok selling a great variety of durians – including fleshy mao shan wang at a very reasonable price. 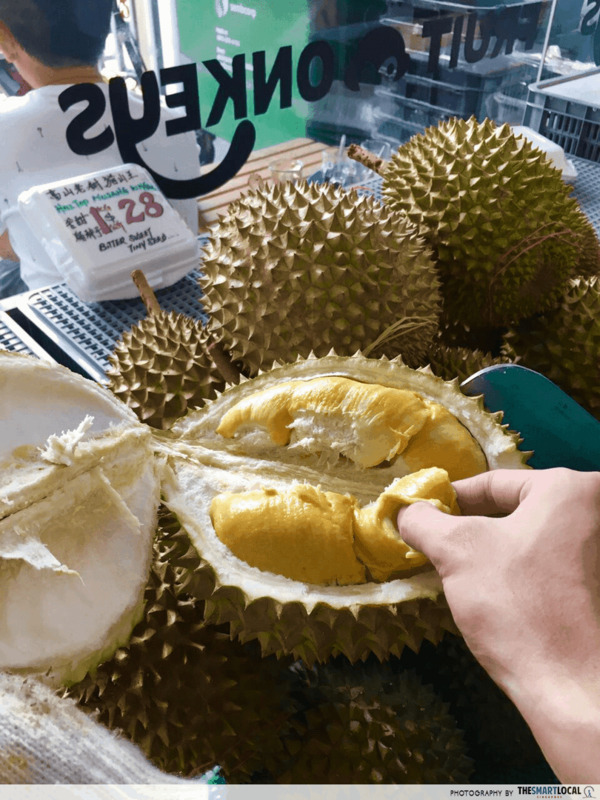 Service is noted to be extremely good by many customers who claim that they replace bad durians within reasonable requests. 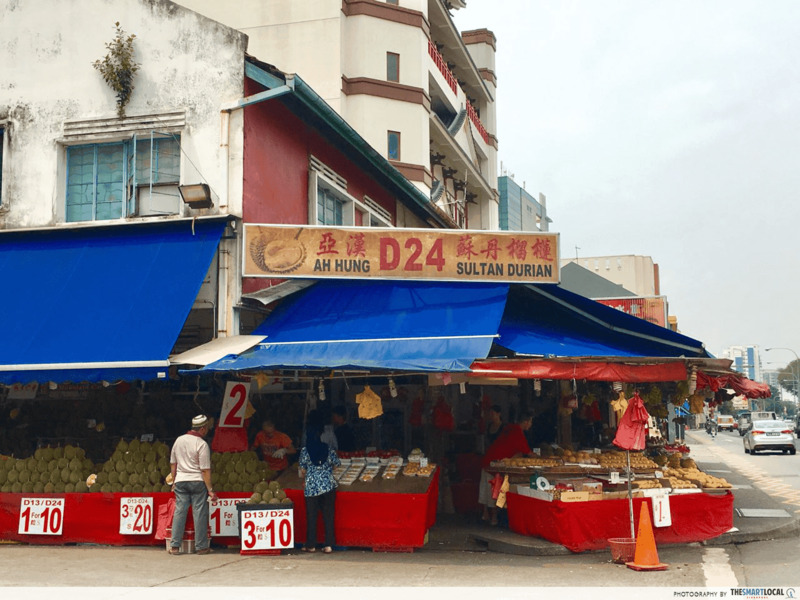 Ah Hung D24 Sultan Durian has D24 in its name for a reason – their durians never fail to please D24 lovers. However, during peak season, Ah Hung prides itself on their flat-seeded, fleshy, and slightly bitter mao shan wang as well. 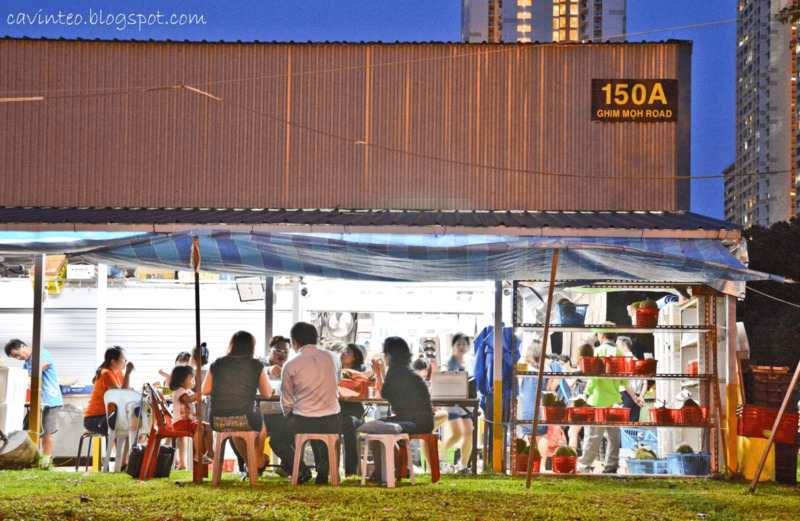 Amongst the stretch of durian stalls at Sims avenue, I have to admit that Ah Hung is one of the fewer stalls that are genuine in both their quality and pricing. Katong is not only the place to take Instagram-worthy hipster cafe shots, but also to savour drool-worthy mao shan wang. At 227 Katong, feast on these bright yellow fleshy pieces of durian at a relatively reasonable price with a bonus of great service – shiok. 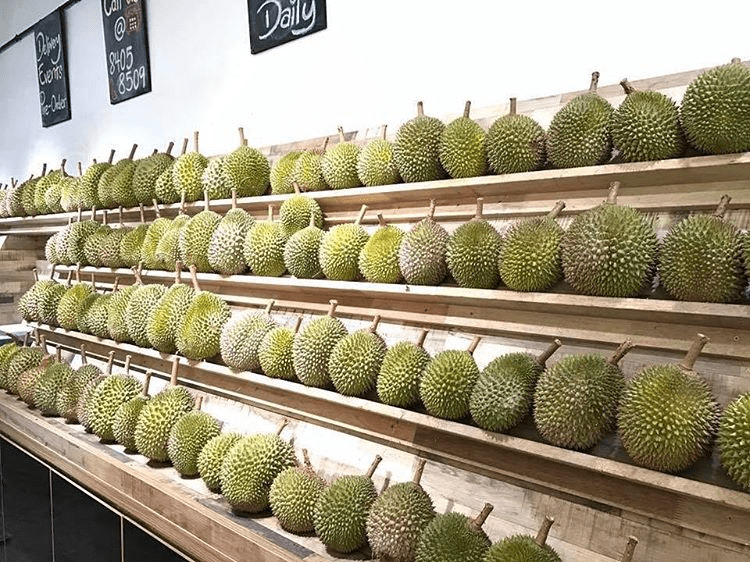 For those who wish to skip the disappointment of “sold out” durians for walk-in orders, you can also order online on their website. 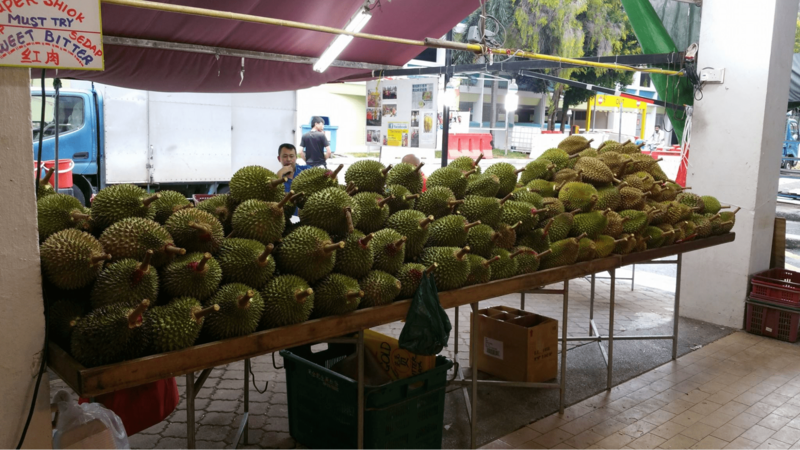 If there’s one thing Yishun is good for other than rabak crimes, it’s durian. Be brave and tread those dangerous grounds, ‘cause it’s definitely worth it if you’re going to get mao shan wang at Durian Kaki. Apart from excellent reviews of the creamy bittersweet king of fruits, their service has received a noteworthy amount of praise as well. 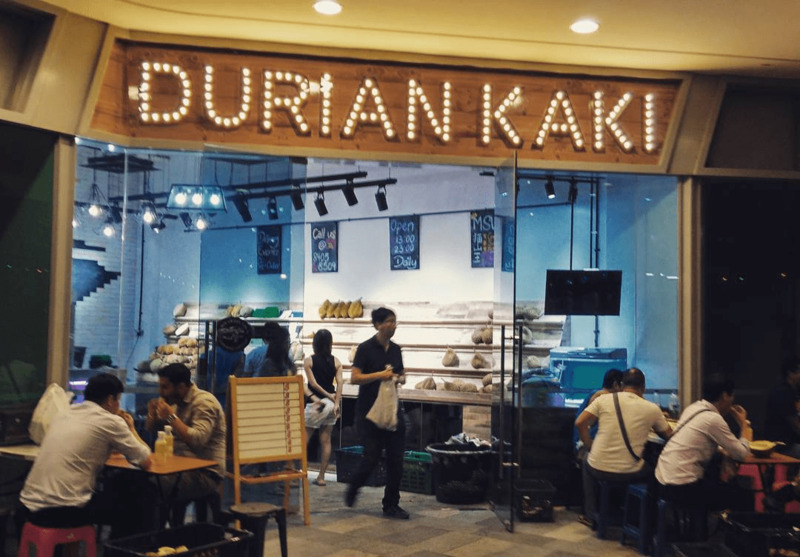 A clean modern spin on the classic roadside durian stalls, with indoor seating to accommodate haters of our humid weather. Note: Durian Kaki has temporarily ceased operations and will be back with a new batch of durians during their main season in June. Buy them durian the season and take your prick! 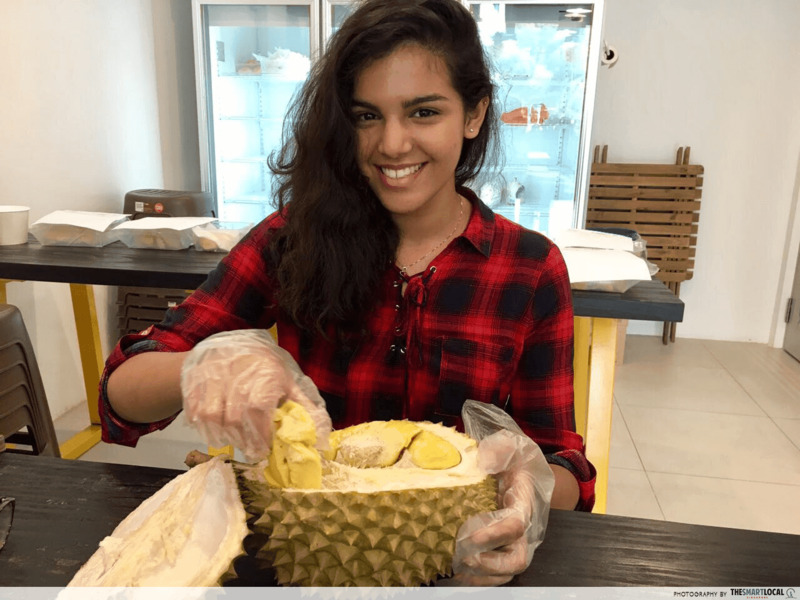 North, East, West, Central – durians don’t discriminate. Mao shan wang lovers, the main seasons are from early March to mid-April, mid-May to early July and late August to early October! So cash dem ousside all around Singapore at their peak seasons – and be sure to drink lots of water while you’re at it!